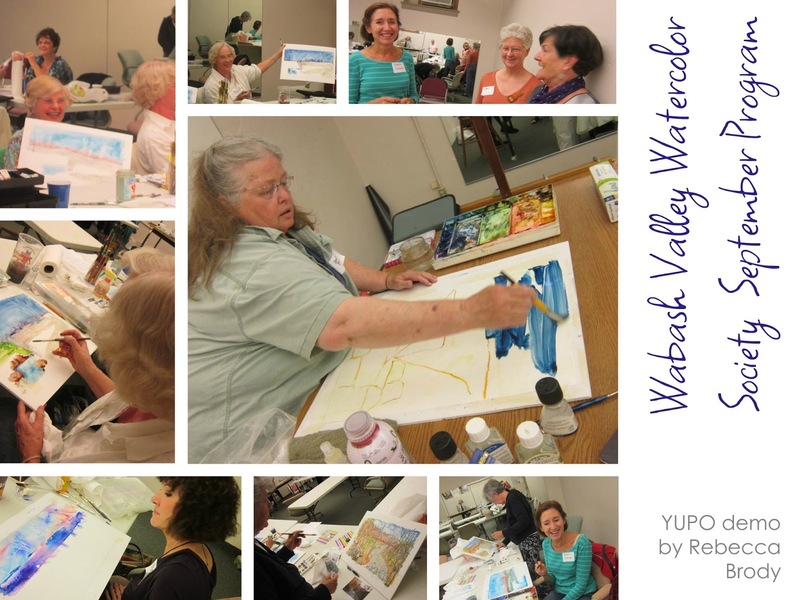 WABASH VALLEY ARTISTS SOCIETY: Busy Day for WVWS! The third Tuesday is the regular day for the WVWS monthly meeting. 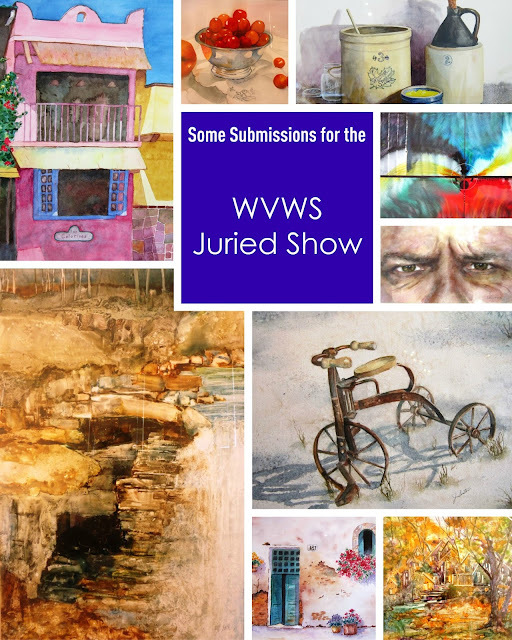 Receiving paintings for the annual juried show today, made it a very full Tuesday. The judge will have a challenge when he juries the 40 entries tomorrow. 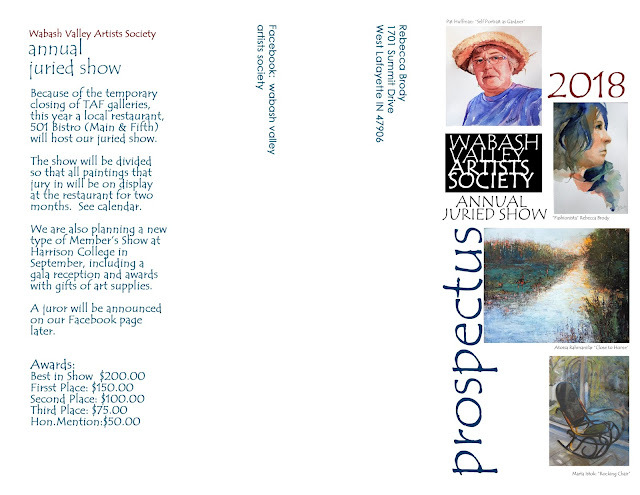 The show opens to the public at 6:00 this Friday, at the Tippecanoe Arts Federation. 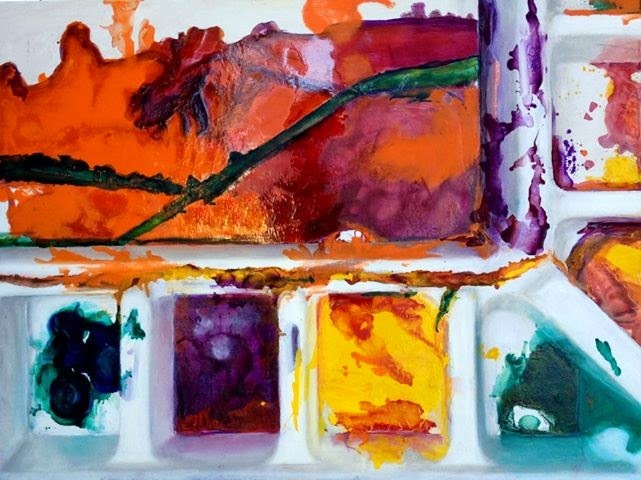 It is also the Art Walk, so art lovers will have plenty of art to enjoy. Becky Brody gave a stimulating hands on demo with YUPO. Everyone enjoyed trying their hand at this serendipity art experience.